← WINE TASTING! 24 wines sampled, 8 recommendations. FUN! 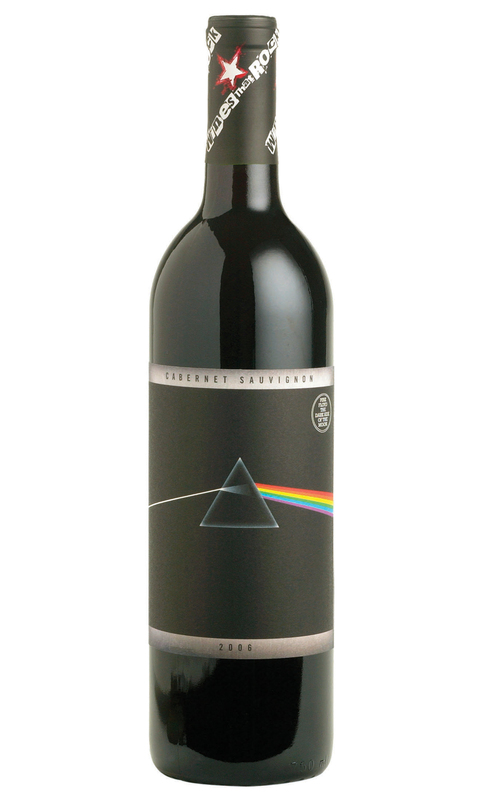 2007 WTR (Wine That Rocks) “Dark Side” (Pink Floyd) Cabernet Sauvignon, Mendocino County (Ukiah), CA. 13.5%. $12.99 at our local ABC store (not in grocery stores). This isn’t a great wine, but it’s quite good. For me, the strong point is its appeal as a novelty gift for our friends who are musicians, especially those who love classic rock. The wine inside is good enough to give as a gift, but the label is guaranteed to generate a big grin immediately, and the back-story packs a punch indeed. Sting (“Synchronicity” blend of Carignane, Zinfandel, Syrah, Petite Sirah, Grenache and Viognier), the Rolling Stones (“Forty Licks” Merlot), Pink Floyd, and a tribute to Woodstock (Chardonnay)—and good wine to boot—what more could we ask when taking a host/hostess gift to a jam session or house concert? For more about house concerts, visit www.ConcertsInYourHome.com. We hosted one on August 10, and pulled out the WTR “Dark Side” to the great pleasure of folks in the know. This entry was posted in Cabernet Sauvignon, California. Bookmark the permalink.